Pantrarna, "The Panthers", are an organization founded in Biskopsgården, a suburb of Gothenburg, Sweden, in February 2011. 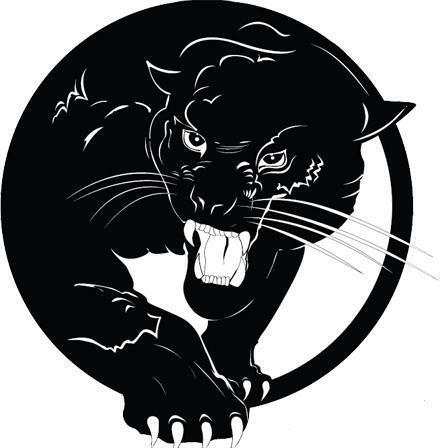 Their name is a direct reference to the Black Panther Party whose principles and actions they feel strongly inspired by. The members of Pantrarna are mainly youths and young adults. Their uncompromising struggle for social justice has caused widespread media attention in Sweden and they are at the forefront of a newly emerging "suburban movement". In October 2012, Alpine Anarchist caught up with the Panthers Homa Badpa, Yassin Ben Salah, and Murat Solmaz to discuss the Pantrarna's goals and principles. How were the Panthers founded? Murat: Me and some other students at the community college I attended got involved in a campaign to save a youth center. We decided that we should found an organization to take the struggle further. So that's what we did. How big is the organization now? Murat: We have a core of 40 very dedicated activists, a registered membership of about 150, and literally thousands of sympathizers. Yassin: It was one of the names that was recommended early on. We voted for it in unison during our second meeting. Why such a clear reference to the Black Panther Party? Murat: I had read a lot about the Black Panthers and was inspired by their goals and methods. I thought that we could apply them to our struggle. We can also identify with people who are fighting both social injustice and racism. What do you say to folks who think that it's inappropriate to transfer a concept from the USA of the late 1960s to contemporary Sweden? Murat: If the ideas and methods are good and applicable, why not? Besides, the history of the Black Panther Party is inspirational and must live on. Self-organization was not only important in the USA in the late 1960s, it is important everywhere and anytime. The Black Panthers are often associated with the militant gesture of bearing weapons. You don't bear any weapons. Murat: When Jamal Joseph first went to a Black Panther office and demanded a weapon, he was given a book. Weapons are more than just guns. Yassin: Guns aren't a purpose in themselves either. They are an expression of self-defense, and you bear them when it is necessary. In Sweden right now, it is not. You had one of the Black Panther Party founders, Bobby Seale, come to visit you. How did that happen? Murat: After we founded our organization, we tried to get in touch with living members of the Black Panther Party. Through a former Black Panther associate who now lives in Sweden we got in touch with Bobby, and he was willing to come visit. We got the University and the Workers' Education Union involved and they paid for him and the artist Stephen Edwards to come over. We celebrated Mayday 2012 together in Biskopsgården. We wanted to take the Mayday celebration to the suburbs where the actual working-class people live. The usual Mayday celebrations are held in the inner city where the rich people live. Homa: It was great to see Bobby Seale in Biskopsgården. He was very humble and inspiring. It meant a lot to the youth who were there. Being from the suburbs seems to be an important part of the Pantrarna's identity. What does it mean to be from the suburbs in Sweden? Murat: Let me give you a few numbers about Biskopsgården: youth unemployment is at 45%, 95% of the homes are more than forty years old, only 35% of the youth graduate from high school, and 60% of the inhabitants go to vote, compared to a national average of over 80%. I think this gives you a pretty good impression of what life in the suburbs is like. The majority of the people living in Biskopsgården, and in many other Swedish suburbs, are first or second generation immigrants with backgrounds in various countries. It seems that Pantrarna are uniting everyone. Yassin: The only thing that matters is that people agree with our principles. As an organization, we want to improve the living conditions for all, and that includes poor Swedes whose families have been here for generations. Everyone needs to have a good life, that's the only way to overcome racism. What would you define as the Pantrarna's main goals? Murat: The short-term goals are to raise awareness about the situation in the suburbs, to bring attention to the problems of the people who live there, and to organize in Gothenburg. Yassin: The long-term plans are to make the organization nationwide and to allow the suburbs to stand on their own feet. We need to change the school system, create meeting places, and start cooperatives. Developing a sense of community and of responsibility for the community is crucial. Murat: Things go step by step. We started with a struggle for saving a youth center. Now we will get our own youth center called Pantergården. This shows what's possible when you really put your heart into it. Homa: Recently, we had Gothenburg's biggest newspaper, Göteborgs-Posten, give in to all of the demands of a campaign we had started because of their biased reporting about Biskopsgården. We initiated the campaign after the paper had spread unfounded rumors about one of our members, Diren Öz, who was murdered in July. The editors ended up issuing an apology and financed a paper about Biskopsgården produced by local youth. For me, this proved that we can sometimes achieve more than we believe possible. Is it appropriate to call Pantrarna a youth organization? Yassin: No, the organization is for everyone, but we turn things around: instead of adults deciding what's best, we let the youth decide. The generational gaps must not be underestimated. Parents often don't know much about their children's lives. They don't understand that Sweden is not the country it was in the 1960s and 1970s. Murat: Instead of following the traditional approach of trying to change the youth through parents and teachers, we are trying to change the adult world through the youth. You mentioned the principle of self-organization. Is this a central aspect of your politics? Yassin: Absolutely. People must feel responsible for what they do. They don't necessarily make all the right decisions, but if they make the wrong decisions, at least they know that the decisions were theirs and they will find ways to fix things. If others make wrong decisions for you, you lose twice: the decision is wrong and it wasn't even yours. This breeds anger and frustration. The Swedish media always uses the example of vandalism in the suburbs, especially the burning of cars, as a justification for the strong police presence, the security cameras, etc. You've been steadfast in your refusal to join into these arguments. Yassin: Our position is simple: we don't condone these actions, but we understand them. Of course there are more productive ways to vent your anger and frustration than burning cars. Propagating these ways is exactly what we do. We try to organize people and give them the collective strength to really change things. But we understand the anger and the frustration, and if people have no other means, they will express them by destroying things. The police and the security cameras can't do anything to stop this, they only make the situation worse. Only we can make a difference. Murat: And we already have. Since the Panthers exist, the vandalism has stopped. People see that there are other ways to protest – ways that are, as Yassin says, more productive. These ways not only help you deal with anger and frustration, they also help you to advance. For example, there are many youths selling drugs in the suburbs. They don't do this because they are evil people, they do this because they want to to improve their life, to earn a bit of money. But as a friend of ours recently told one of the dealers: "You are out here in the cold all day, and what do you make? A few hundred crowns? The Panthers storm meetings in warm office buildings, eat sandwiches, and get millions. What's better?" Speaking of storming meetings: Can you tell us a little more about how you work? Murat: We combine our organizational efforts with political confrontation and social activities. I think that sums it up quite well. Yassin: We don't mess around, we address issues head-on. We have driven campaigns for youth centers, for a fair media coverage of the suburbs, and for an actual improvement of public space rather than filling it with police and cameras. Among the regular activities we organize are youth summer camps, soccer tournaments, and lectures and discussions, for example at the Rosa Parks Café that we run twice a month. Homa: We also use social media well. I think this is one of our strengths. It also goes to show how we, as a young generation, can use our skills for political organizing. You often emphasize that you want to teach others how to organize. What's the Pantrarna's role in your community? Murat: We are a vanguard, clearly. We set examples that others can follow. Yassin: This does not mean that we tell people what to do. They are in full control of their projects. But before you can even start a project you need to know that this is really possible and you need to have some knowledge of how to go about it. Everyone needs to be active, but sometimes you need particular groups that can set things in motion. This is where we play an important role. Murat: Our approach is also reflected in how we organize. People must see a purpose in organizing. If people attend meetings where none of their concrete problems are addressed, they won't come back. Neither exaggerated formalities nor petty ideological debates are very attractive. But if people get to discuss something that really concerns them – a youth center, a soccer tournament, or police violence – they will come to meetings, and they will share their opinion on all sorts of topics. Youths in the suburbs are smart, they just need to have an incentive to get involved. To give you an example: There was a group of 14-15-year-olds who ran a café at one of our events, and now they want to do all sorts of things, because they enjoyed running something themselves. It's a simple principle. Yassin: You need to give kids a chance. I mean, you never know, one of them might turn into a new Malcolm X. You often hear the argument that community organizing might help with social affairs, but that it can't tackle more complex issues, like economic ones. What is your take? Yassin: The principles don't really change. People need to become active and get involved. Forming cooperatives is very important. They are a direct response to the economic problems in the suburbs: they provide people with jobs and help keep the resources in the community. Today, most of the resources are going outside. Of course, people need support to form cooperatives, and there also need to be mechanisms that keep them from turning into corporations. But it's a crucial tool. You've voiced criticism regarding "petty ideological debates". Do you see this as a big problem? Murat: It's a significant problem within the left in Sweden. Many groups are way too hung up on ideological questions and never get down to actual political work. There is a lot of romanticism and nostalgia in the left. You glorify some far-away revolutionaries and imagine being like them, rather than asking yourself how you can contribute to revolutionary politics here and now. That's why we prefer to call ourselves a revolutionizing organization rather than a revolutionary organization – there are already way too many self-proclaimed revolutionary organizations that don't amount to anything. We get people to be active, that's revolutionizing. The single biggest effect that we have had so far is more awareness in our community; people have become engaged in social matters. Yassin: The focus on ideology also leads to ideological splits, which takes people even further away from practical work. Murat: People lose sight of reality. For example, we have been accused of "collaborating with bourgeois media", when Göteborgs-Posten supported a paper produced by youths from Biskopsgården, as Homa mentioned. It seems like these critics completely forgot the struggle behind it all. It wasn't the result of some deal, it was the result of a tough campaign. But I guess you don't see this if you wear purely ideological glasses. Yassin: If you're not prejudiced in the way that most people on the left are, you are ready to work with all sorts of people. For example, if you are against capitalism, then many on the left expect you to be a certain way. They expect you to use a certain language, wear certain clothes, or eat certain foods. I think capitalism needs to stop, but that doesn't mean that I have to fit any of these expectations. Diversity is key. You need to be able to work with everyone, otherwise you won't get anywhere. I don't care where people come from or what they do; if they want to work for positive change in the community, I will work with them. And if it's clear that their intentions aren't honest – for example, if they only work with you because they feel forced to or because they hope that they can get something out of it – then we're simply turning this to our advantage. We know that Göteborgs-Posten did not want to work with us but that they felt forced to. So, we don't negotiate, we demand. And we don't back down before our demands are fulfilled. The threat of confrontation is always there, and they know that we are serious. You can achieve a lot that way, while the ideologues often get nothing achieved at all. So there is no Pantrarna ideology? Yassin: Nothing beyond "All power to the people". You can call that peoplism or pantherism, if you want, but we aren't really too interested in "isms". They usually just shut doors and keep you from working with people who might be great people to work with. Can you summarize the ultimate objective of the Pantrarna in a catchphrase? Yassin: Justice. True justice, not just talk. Murat: Inevitably. The attention that we have got is phenomenal. In late November we are going to Malmö to help start a Pantrarna chapter there. In Stockholm we have a sister organization called Megafonen. This is the future. We breathe new life into radical politics.